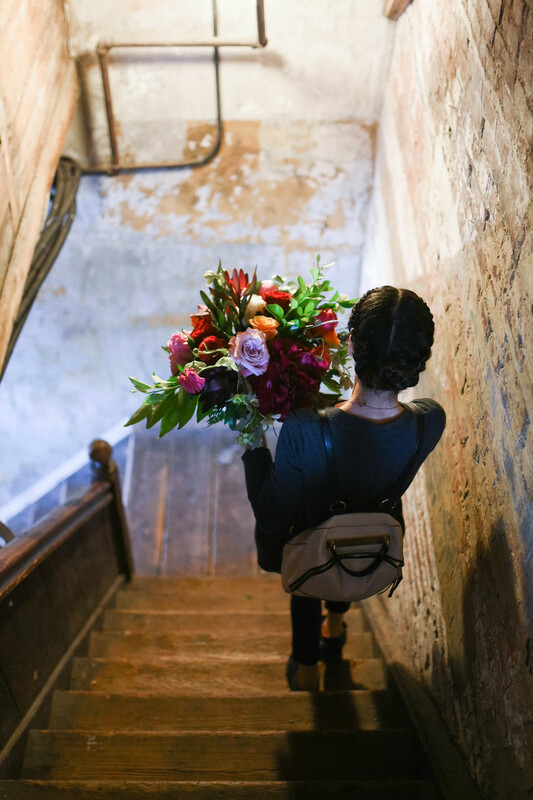 Erin and Brians wedding at the Greenpoint Loft in Brooklyn included a lovely array of romantic flowers. 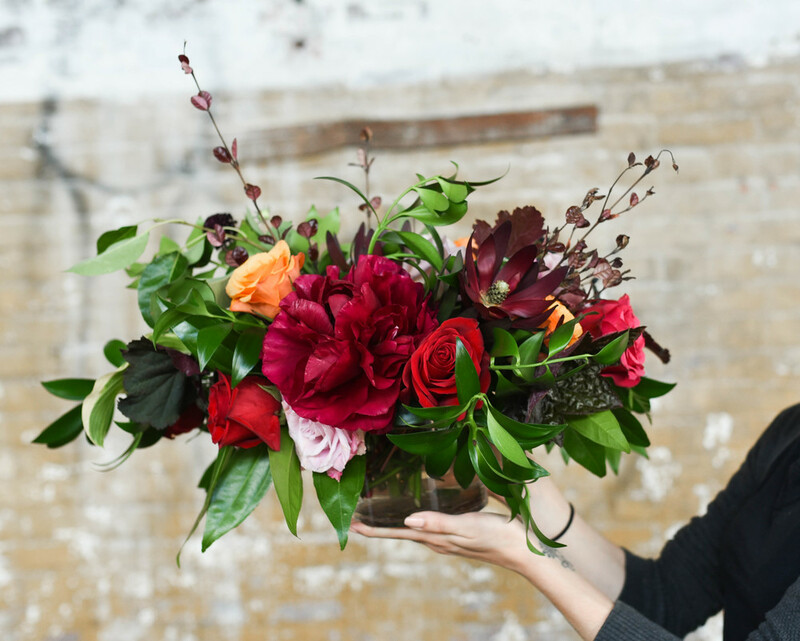 Design included flowers such as garden roses, peonies and greens. Pops of orange and the deep tones of the lush peonies added to an unique color combination. 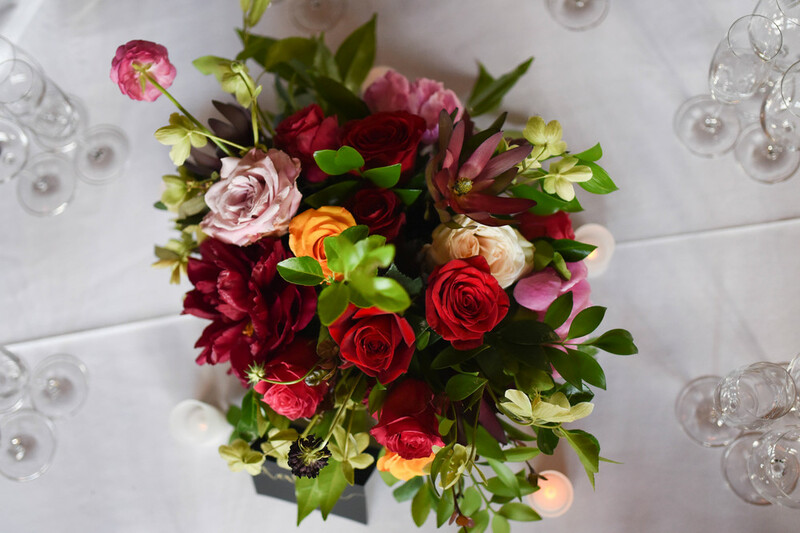 Center pieces were filled with classic selections such as garden roses and berries. 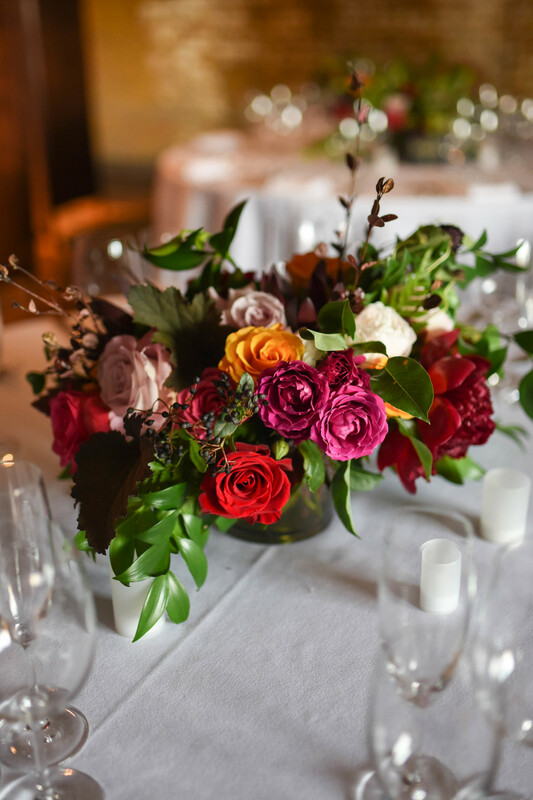 Mini arrangements adorned tables along with LED votive candles for a warm glow. 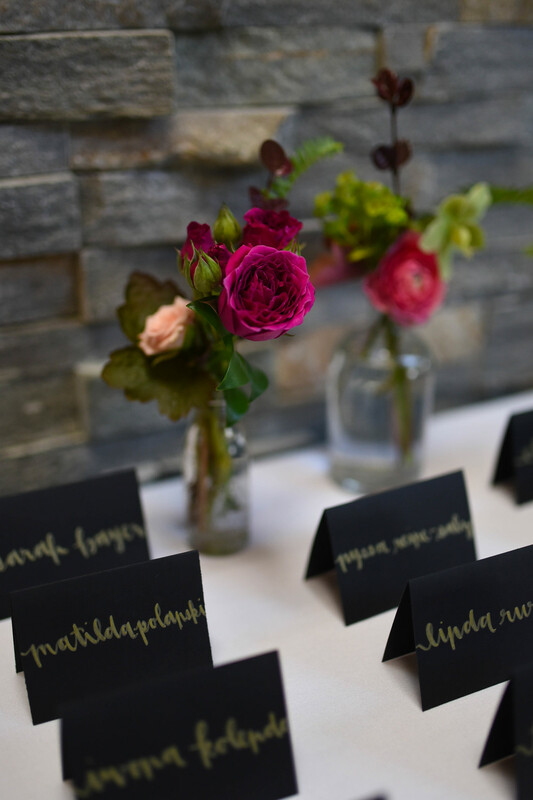 Bud vases were filled with overflowing greens and romantic blooms. The ceremony arch was a free standing, decorated in greenery with flower accents. The wood of the arch was slightly exposed while being draped in lush greens and romantic colored flowers. The base was covered with moss and branches. Flowers included blooms in pink, orange and red. It was amazing to work with Brian and Erin and a huge congratulations on their wedding!